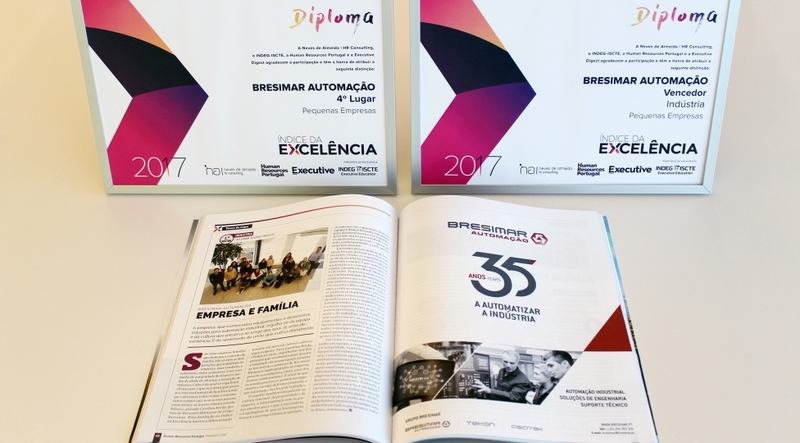 Once again, Bresimar Automação was distinguished in the Index of Excellence for its Human Resources practices, having achieved 1st place in the Industry sector and 4th place in the ranking of small companies. We pride ourselves on the team and culture we have preserved over our 35 years of existence and the sense of unity we cultivate internally every day. The Index of Excellence is a study of the organisational climate and development of human capital, carried out by Neves de Almeida | HR Consulting in partnership with Human Resources Portugal, Executive Digest and INDEG-ISCTE, which analyses the best Human Resources practices in Portugal and awards the entities which invest the most in this area.